Are you bored with the Mt Fuji and Space wallpapers from Lion? 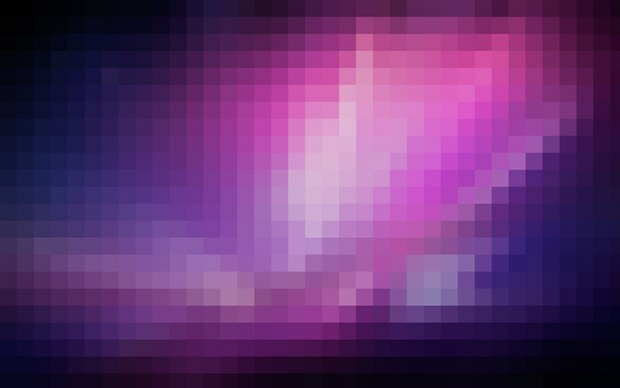 Try out this 8-bit rendition of the default Mac OS X Snow Leopard Aurora wallpaper. OK so it’s probably not quite 8-bit in terms of colors, but the pixelation brings back that retro feeling. Combine it with PixelSafari and you’ll be wishing you had antialiasing again in no time. You can grab the full sized 2560×1600 version from SimpleDesktops, believe it or not, it actually looks pretty nice as a desktop background. Try it yourself, it has a beautiful retro feel to it. This was found on Twitter via @MacGasm. Gotta love a good wallpaper! Pixels and all! What’s with everyones obsession with pixels and 8bit this and 8bit that? Nostalgia for the days when CPU’s were 16MHz and your graphics card was the size of a MacBook Pro? I don’t get it. You can use mono color, purple for more retro feeling. Also giving a childbirth by yourself feels so retro. I’m with Walker on this one, this is terrible for the eyes.